34-year-old Natahsha Langthorne from Lytham St. Anne's is tackling this year's Great North Swim after her husband was diagnosed with non-Hodgkin's Lymphoma in November. Natasha's husband David, also 34, found a lump on his neck last September, following tests his diagnosis was confirmed and he started treatment soon after. David had originally signed up to take on the event with his 12-year-old son Charlie, but his treatment means that's not going to be possible, so despite her fear of open water, Natasha has stepped in to take his place to make sure Charlie can still enjoy the event. Inspired by her bravery, fourteen of their friends and family, including sister-in-law Sarah, have now signed up to take on the event with them and will fundraise for Macmillan. Natasha said, “It's been extremely hard as David was a very healthy man, he's not a drinker or a smoker, he has an excellent work life balance and is very active. It was so unexpected, he has two children and to them Cancer is a very scary thing. “He's having his fifth of six rounds of chemotherapy this week, so we're almost through the first part of the treatment now. Hopefully there won't be any more, but there is a possibility he will need radiotherapy, surgery or even a stem cell transplant. The family is determined to stay positive and do something to support David and the organisations that support patients. As well as fundraising for Macmillan, who have provided the whole family with invaluable support, they are undertaking a number of other challenges and activities to fundraise for the Lymphoma Association and DKMS to raise awareness of stem cell donation. The family is not new to the event, and Natasha has been supporting on the side-lines for many years. 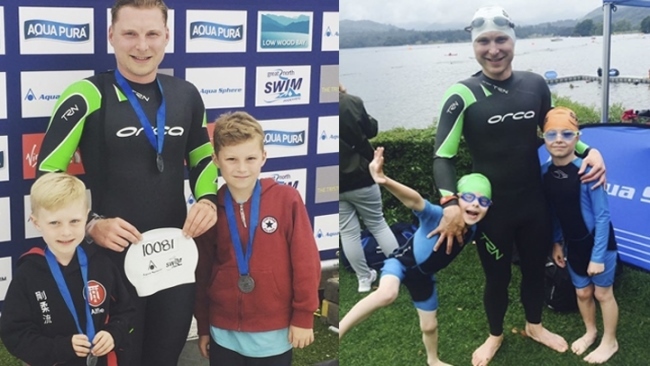 “My husband has always done the Great North Swim for as long as I can remember, as a personal challenge. Last year my step-son Charlie also took on the 250m for the first time. They both love being in the water. “David had promised him that he would take on a longer distance with him in 2018, but we realised when he got diagnosed that it wasn't really going to be possible. I really wanted the children to be able to do all the things that they would normally do. “So even though I have a real fear of open water, and I'm much more comfortable waiting at the end with a picnic at the finish, I've decided I'm going to do it with him. “It's a massive psychological challenge for me, I hate water, I don't even like getting my face wet. I've signed up to swimming lessons to help me with my confidence, I'd rather take on the challenge than tell Charlie he couldn't do it. The Great North Swim is the UK's largest open water swimming event and takes place over 3 days from 8-10 June at Brockhole, the Lake District Visitor Centre. 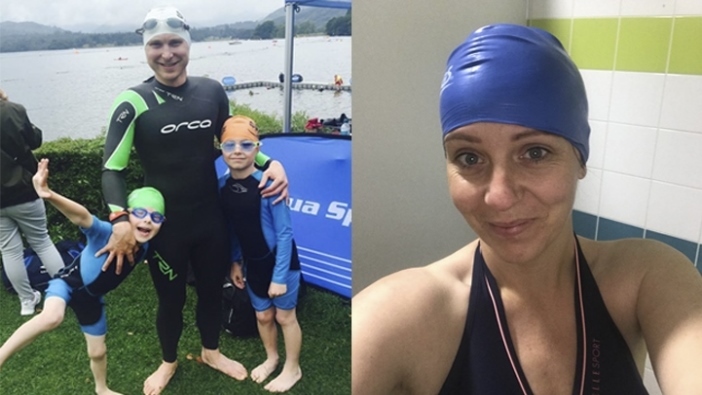 Natasha and Charlie will be joining thousands of swimmers of all ages and abilities who will all be taking on their own personal challenges in the iconic surroundings of Windermere in the Lake District National Park.